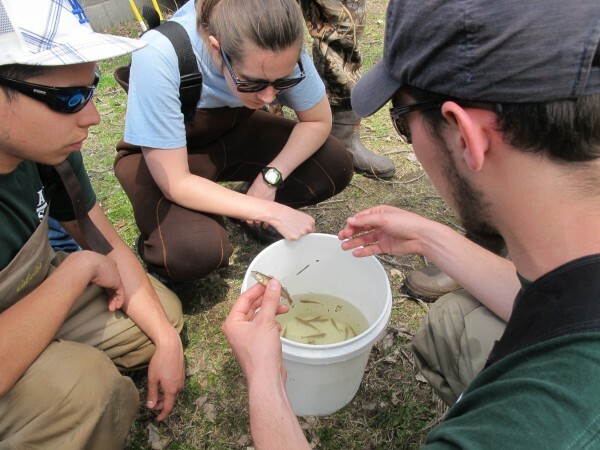 The New York State Chapter of the American Fisheries Society, in cooperation with the USFWS Lower Great Lakes Fish and Wildlife Conservation Office, will be hosting a Fish Identification Workshop. The workshop will be held at the USFWS offices in Basom, NY on October 6th and 7th (two full days). The New York State Museum will be providing the instruction, and the workshop will include lecture, hands-on identification, and field components. While most families of NYS freshwater fish will be covered, particular emphasis will be placed on rare and hard to identify species and those native to the Great Lakes drainages. Participants will be keying out specimens in pairs, and each pair will need a dissecting microscope – so bring one if you have one. The cost of the workshop is $150. Space is limited, so if you are interested in attending be sure to register soon at http://newyork.fisheries.org/workshop/. For more information contact the AFS NY Chapter Workshop Chairperson Jim Daley at 516-402-8959 or at [email protected].